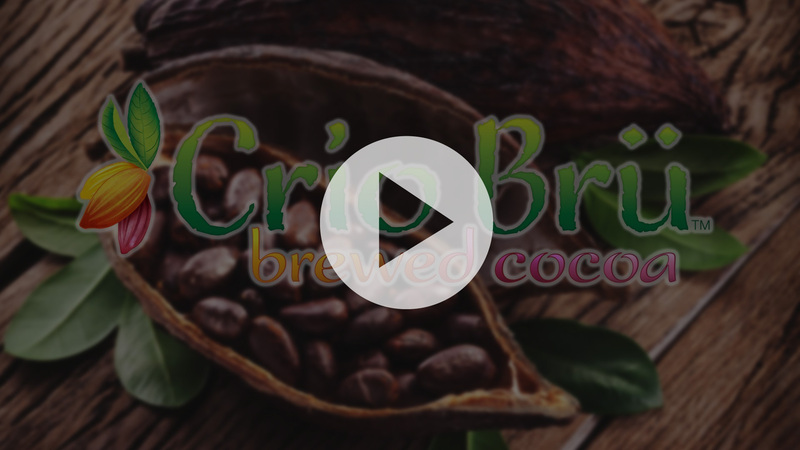 "I have become completely addicted to the Crio Beans and Bru. I gave a friend of mine some of the Cavalla with a french press and some of the Crio beans for her birthday. With in 10 minutes I received a text from her saying that she had just polished off her 3rd cup. I love this stuff!! I'm not fond of overly sweet hot chocolate and..."
"My brother put me on to the Bru a little while ago. Being in the Coast Guard, just about everyone functions on a constant stream of coffee. I have found that one cup of Crio keeps me more awake, alert and energetic than the multiple cups of coffee that my shipmates down during midnight watches. Also as a chef I have found many uses for the Bru..."
"As a firefighter I rely on mental and physical strength to perform my daily tasks. Every moring, the entire crew has a cup of Crio before our shift. Not only do I enjoy the taste of Crio, I have also found it is a healthy alternative to other morning beverages. I have experienced an increase of focus and energy that helps me get through..."
"I received a gift basket from my husband almost a year ago for Valentines Day. He knows how much I love chocolate and seeing that it was cocoa he felt safe in the purchase. Little did he know the gold mine that he was bringing home to me! From the very first cup I have LOVED the flavor . . . and that was before I had even read how good it was..."
"I bought a starter kit, purely on taste. And thank the heavens I did! I now enjoy Crio Bru in place of coffee everyday: not only has my Starbucks expenditures gone down, but so has the crazy energy spikes. And because it’s so great on its own, I have no need to add sugar or cream. My digestive system sings to me now..."
"I LOVE Crio Bru and one of my favorites is the Cavalla. I have others but for my "go to" Crio Bru it's this one every morning! I quite drinking coffee and replaced it with this for health reasons...my doctors and me are ABSOLUTELY AMAZED at the results! I no longer have an acidic PH level which is important in my health..."
"I work in with a bunch of software developers and our beverage of choice had always been CAFFEINE and more CAFFEINE. Work would buy it and we would just drink it down. Of course we all knew the side effects of caffeine; crashing, jitters, and irritability; but after enjoying Crio Bru, we have changed our ways. We feel more awake..."
"I suffer from severe anemia but LOVE coffee!! My new years resolution was to curtail my coffee drinking (sigh) and find a better alternative that had more bite than tea. I had a dream that I found or made a "good for you" coffee and I would be a happy camper. Well all be darned if I didn't walk into Harmon's and find your product!!! It is WONDERFUL..."